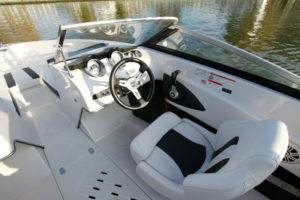 If you are looking for an inexpensive, simple, and easy to use boat, this small sports boat should interest you. the Glastron GTX 185 is a fun and colorful boat that is designed primarily for leisure and almost without constraint. When we talk about boats, size does not matter! This is an adage, full of common sense, that is confirmed once again with this modest sized Glastron, which offers maximum pleasure for its users. A tiny bit longer than the youngest in the range, the 180, the GTX 185 is displayed at 18 feet long. This is a small size that offers the advantage of making the boat easily transportable and easy to launch. 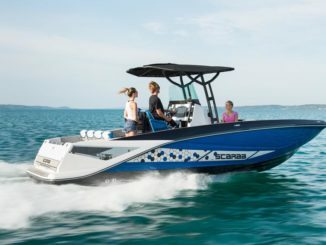 A boat that is therefore primarily for beginners, but also for those looking for a small boat that is simple and effective without the worries of large units. Following the design introduced several years ago, the GT 185 offers a look inspired by the vintage trend which oscillates between the retro and the avant-garde. This is an equation that is difficult to achieve, but which for once is quite successful. 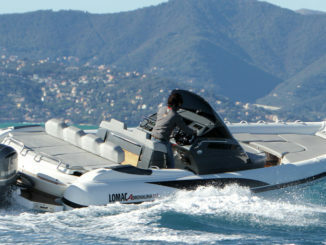 Relying on taut lines, the Glastron retains a true sporty look while remaining quite simple overall. 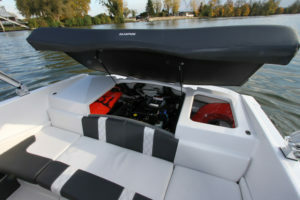 In addition, the choice of very tonic colors (yellow, red, blue …) helps to accentuate the dynamism of the boat. The rest is fairly conventional with a windshield that opens in the center or a rear bench that allows easy access to swimming or skiing. 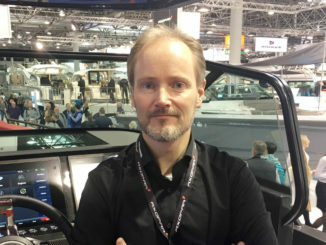 Regarding the engine, the manufacturer provides the customer with different options in power ranging from 135 (in Europe) to 200 hp in Mercruiser and Volvo.. For our test, we had the 135 hp Mercruiser which is the smallest power available. 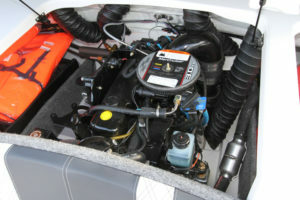 A modest engine, but it works pretty well with the Glastron that weighs only 2,250 lbs. 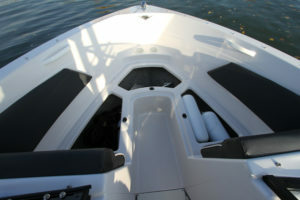 Moreover, the hull is efficient and the engine does not struggle to propel this boat. With this power, the Glastron takes only 5 seconds to plane and fly by at more than 35 mph. These performances are sufficient for a ride with the family or even to tow a skier or a tub. What’s more, this motorization is economical for both purchase and use. If you want more, you can obviously climb to 220 or 250 hp. However, we also appreciate the GTX 185 because it is really easy to drive. 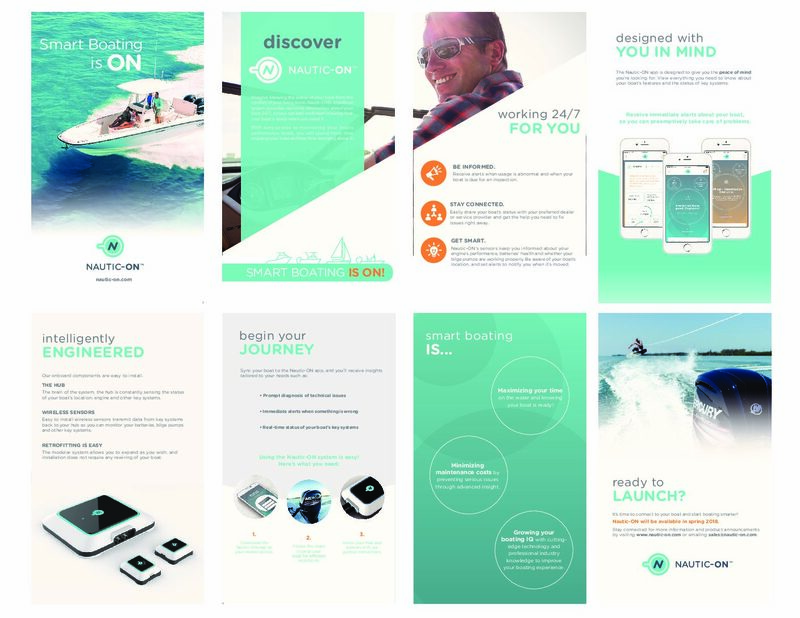 Accurate, light and responding to the slightest solicitation of the pilot, the boat quickly becomes playful. 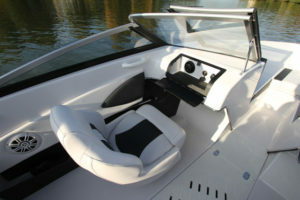 Moreover, it is very stable on the water and offers reassuring behavior for the passengers. 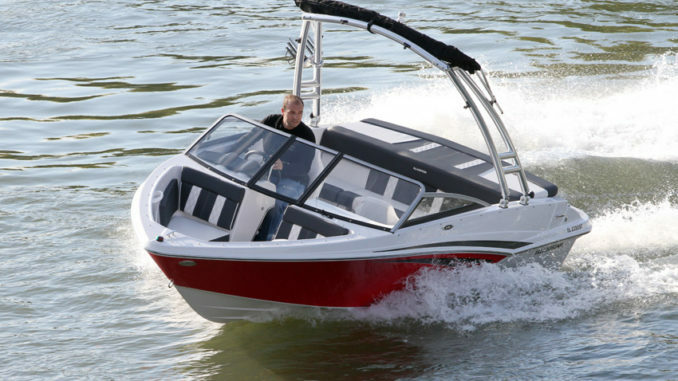 Designed for fun rides and especially for water activities, the Glastron offers a simple but comfortable layout. There is a large rear seat for three people and two adjustable and swivel seats for the pilot and the copilot. A small passage gives access to the bow rider which will also accommodate two people and this space can also be transformed into a solarium (43’’ x 39’’) with a central cushion. It is a pity there is no separation between the bow rider and the cockpit. Conversely, all the seats hide storage and there is one more storage compartment in the floor with a good length (75’’ x 14’’). If it’s not enough, you can find two additional spaces in the engine room. Finally, there are again several boxes on the side and a glove box. On the other hand, there is no anchor box and no pocket space at the dashboard. 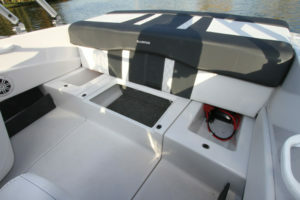 At the rear, the boat offers a real solarium for one person (73’’ x 33’’). Quite basic, the GTX 185 can, of course, be enriched with some options like the beautiful wake tower of our test model, a carpet floor and you can choose different colors. Finally, the finish is very correct for an entry-level product. 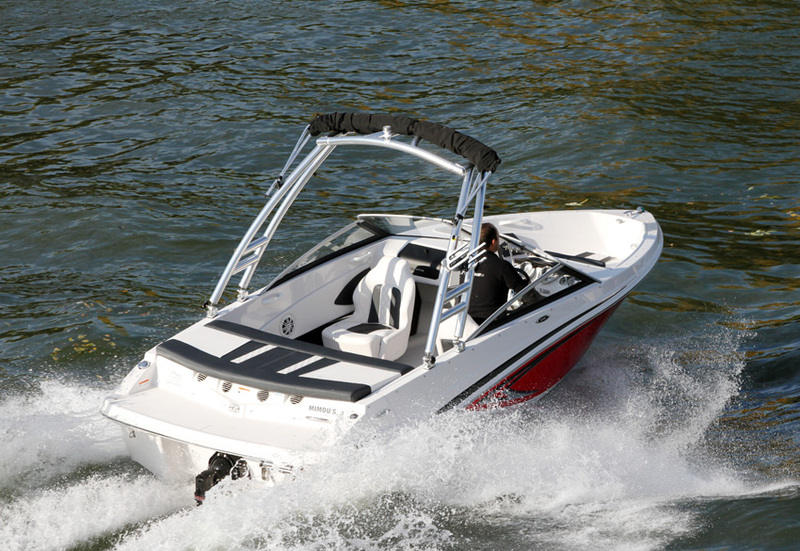 Accessible both in terms of price and use, the GTX 185 is ideal for boating and water sports. It is also easy to transport, easy to drive and it requires little maintenance. In short, it’s an easy boat to live with.